This type of USB security camera is fully functional day and night IP cameras, using USB cable instead of network or power cable for power supply, and usually comes with free USB security camera software on your phone, PC, and laptop for remote viewing, recording and motion alerts anywhere. 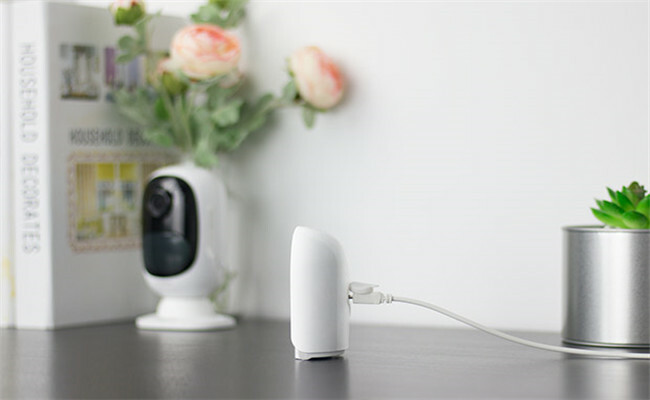 Compared with IP USB security cameras, the webcams need to be connected with your computer directly via the USB port to start monitoring, video recording and data transmission. So everything will be controlled on your PC via certain USB security camera software. Click the right section above to get your best night vision USB security camera, wireless one with 1080p (and higher) resolution, or whatever model you may want, with the least effort and cost! Note: If you want a USB security camera to backup videos to a USB drive, you are not locked in choices of security cameras with USB, actually. All IP cameras can do that via certain software. 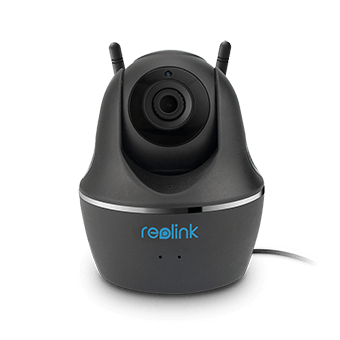 Reolink cameras, for example, support security camera USB storage via FREE Reolink software in simple steps. 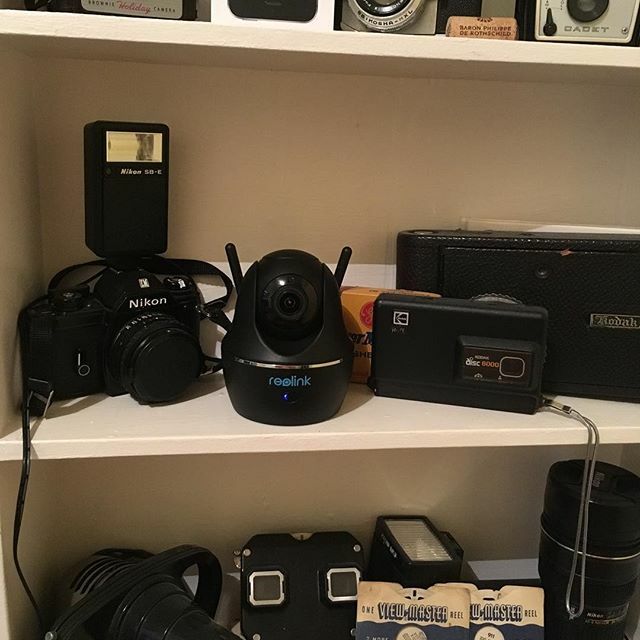 Many indoor and battery powered cameras are designed into highly portable USB security cameras, so that you can just grab them inside and charge them via the power outlet, USB charger, mobile power pack or whatever device containing a USB port, just as convenient as charging your phone. 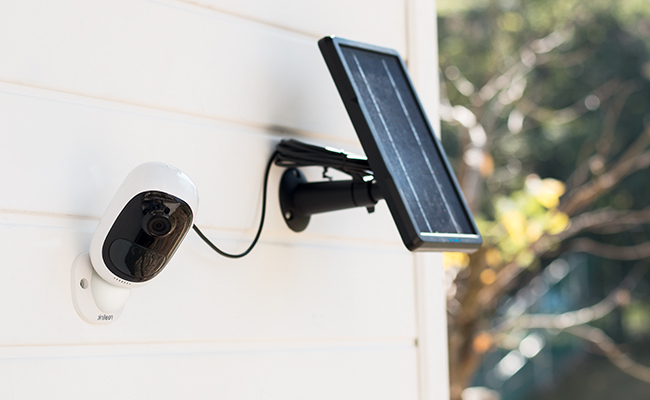 And some high quality outdoor USB security cameras also support USB charging without actually moving the camera or battery pack indoors, by connecting them to a solar panel, like the Reolink Argus® 2. #1. Most USB security camera charging cables are not waterproof (except for the solar panel cables). And therefore, if you want to get your outdoor USB powered security camera plugged in all the time for non-stop power, remember to pull out the USB cable during rainy days. #2. Mind that the cable of USB security cameras should be specially designed for your USB camera model if you want to buy extensional cables. That’s to say, your mobile phone USB cable won’t work with the USB security cameras. Note: It’s always wise to purchase directly from the manufacturer to avoid such issues. Generally, you can easily find the accessories on their product pages. So what’s the best USB powered security cameras in both quality and budget? Here we listed top 2 choices for indoors and outdoors, all with excellent night vision, wireless connection, free and easy navigate software, and 1080p even 1440p super HD images. Free to combine them into a USB security camera system if you want. This battery powered motion activated USB security camera is fully portable with NO wires at all. With waterproof USB interface for solar panel, you can plug the cable into the port and leave it outdoors forever, like the front door, garage or backyard, without worrying about when the battery will be dead. Or you can simply remove its batteries from the back to get it charged indoors quickly in about 4 hours. If you want a USB wireless security camera for serious home security, like catching the thieves and burglars, this well-rounded small security camera with USB would be best, with a most competitive price, NO subscriptions and NO extra fees. Also check the 1080p video sample in the USB security camera review from Reolink users. * Holiday Sales: Good news is that this USB security camera Reolink Argus 2 is on sale with 15% OFF (valid until Nov 27, PST). Shop now to save big! What if there is no WiFi in your monitoring area? 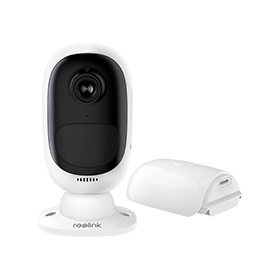 Then the outdoor USB security camera Reolink Go is a better choice, which has pretty much the same features as Reolink Argus 2 but needs NO WiFi to work. Unlike the battery powered outdoor and indoor USB security cameras, gaining 1080p resolution at most, this indoor home WiFi security camera with USB port is designed with even higher 1440p resolution. 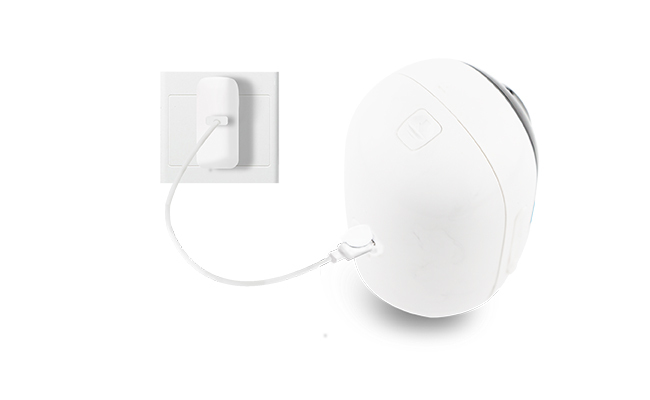 So you can freely place and remove it anywhere indoors to watch your pets, baby or babysitter as long as there is a USB power source nearby, whether it is a power outlet or PC USB port. Most webcams are designed with a USB port to work for PC connection only, making them USB security cameras in all rounds like remote viewing, data transmission and video storage. As we all know, webcam USB security cameras are very much cheaper than the IP USB security cameras, even the best budget picks above couldn’t compare. You have to run your PC all the time for USB security cameras to work continuously. Webcam USB security cameras may only offer limited features since they are not designed for home security. For example, lower resolution, fuzzy night vision (most are without IR night vision), not weatherproof, and more complex USB security camera software settings, etc. With your USB security cameras recording directly to your computer hard drive, chances are that the video files will eat up your PC storage space very quickly and other problems may come along. So it is advised to schedule your security camera with USB to upload to online FTP server if possible. Unlike the IP USB security cameras with so many options out there, both good and bad, the webcams are relatively easy to choose with basically the same functions and price tags. Actually, the webcam USB security camera software is more important, considering it will decide what you can actually do with your camera. For example, the iSpy provides you premium remote viewing, the Yawcam offers better motion detection and FTP upload, and the SecuritySpy supports monitoring on Mac. Click here to learn the most widely-used free USB security camera software and set up your best webcam USB cameras. Of course, if you want to save troubles of setting up the third party software, or want more flexible and higher level of security with remote viewing anywhere, push alerts on your phone and higher resolution, the above mentioned IP cameras will serve you better. Step 1: Put your USB security camera in a place where needs video surveillance. Step 2: Prepare a USB cable long enough and connect your USB security camera to your computer. Step 3: Install video surveillance software for USB security cameras, such as iSpy, Yawcam and Security Spy. 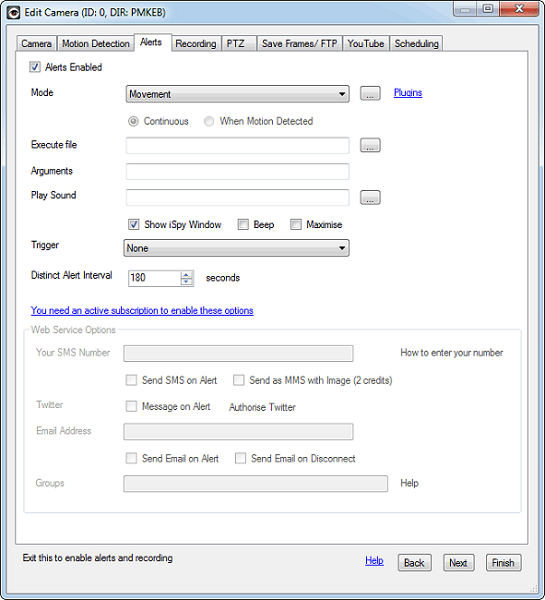 Step 4: Configure the camera software and set up USB security camera motion detection, alerts, recording, PTZ, save frames/FTP, YouTube, and other scheduling. Click here to see more detailed USB dome security camera setup procedures with screenshots and full explanation to each step. This entry was posted in Buyer's Guide and tagged usb security cameras.